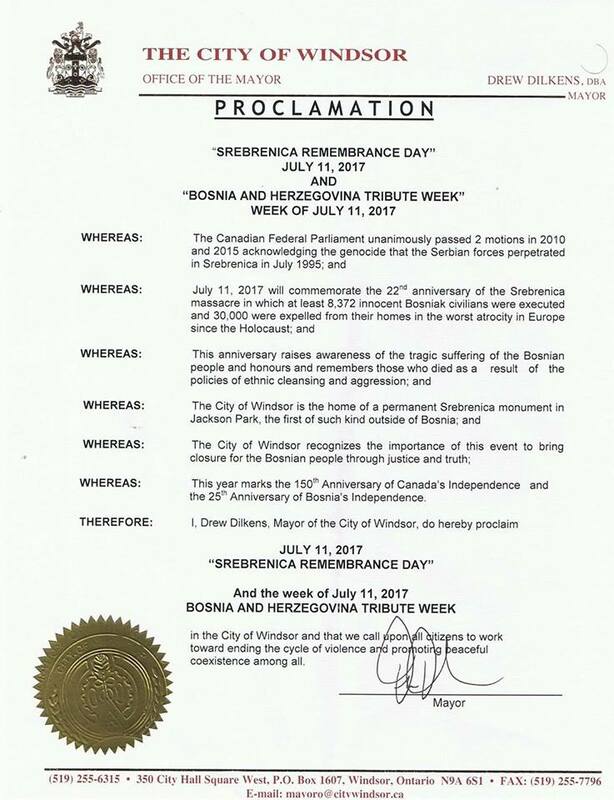 July 15th 2017 at noon in Jackson Park Windsor ON. 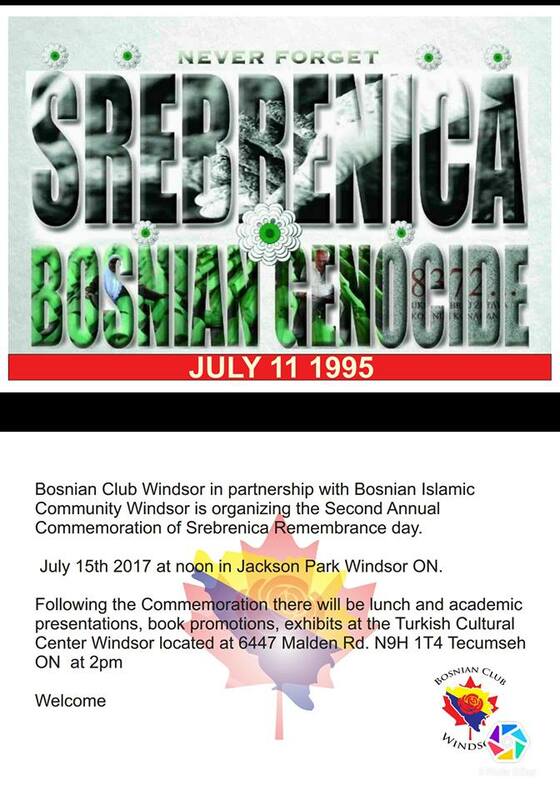 Organized by the local community and sponsored by the Genocide Research Institute, Canada. We invite you to give your contribution to the culture of memory of genocide in Srebrenica and BiH. After Commemoration promotion of Academician Smail Čekić’s book Dayton Peace Agreement – legalization of genocide in RBiH. Promoter Academician Emir Ramic. Discussing important topics. Special guests. Turkish Cultural Center Windsor located at 6447 Malden Rd. N9H 1T4 Tecumseh ON at 2pm.